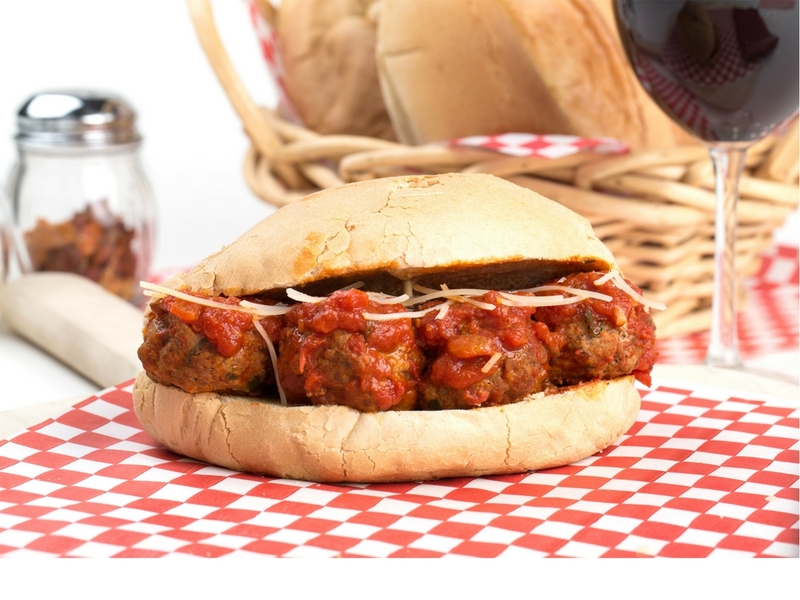 Meatballs are one of our favorite things to cook in the crockpot, because they can be paired alone or turned into these easy and delicious Crockpot Italian Meatball Subs for a sandwich just like your local sub shop! This Crockpot Italian Meatball Sub is such an easy recipe and so simple to make, because it uses frozen meatballs. 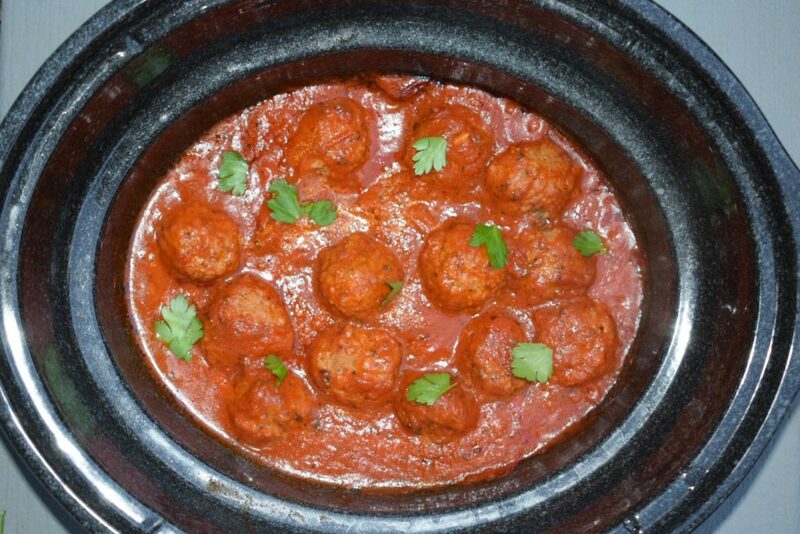 I have been on the search for the perfect frozen meatballs for this recipe. 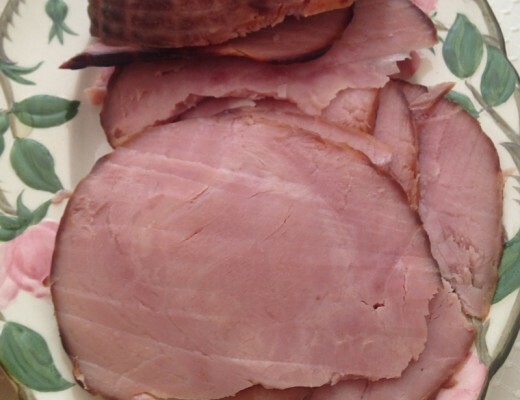 We love Bremer found at Aldi’s, Trader Joe’s brand and Nature’s Rancher that you can find at Whole Foods. If you are in an area with no availability to those specialty stores any Italian style or regular meatballs will still do the trick! 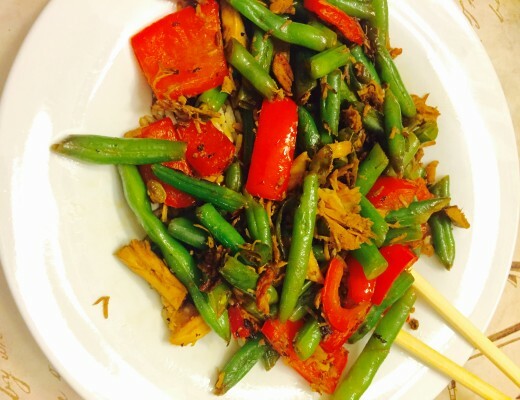 Cooking these at home is such an inexpensive alternative to getting take out. Why lug the kids into the sub shop to stand in line, when you can make a healthier version yourself in the comfort of your own home? And when you make it yourself, it’s cheaper, faster, easier, healthier and you can even change into your pajamas before you make it- most of the time I’m already in mine! This recipe is also great when you are trying to watch your waistline, because you can sub in turkey meatballs and just eat the meatballs. 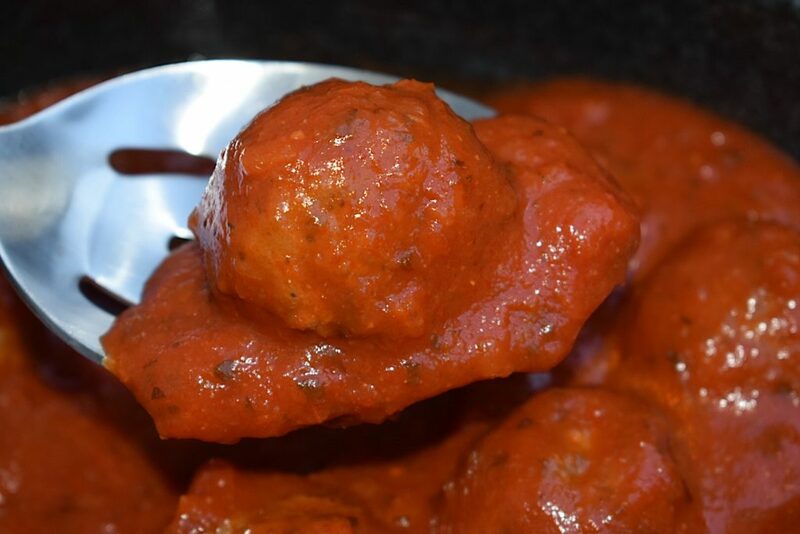 Sometimes turkey meatballs can have a strange after taste, so the marinara helps to mask it should you choose to use them. My favorite go to sauce with low sugar and nothing artificial is Rao’s Homemade. 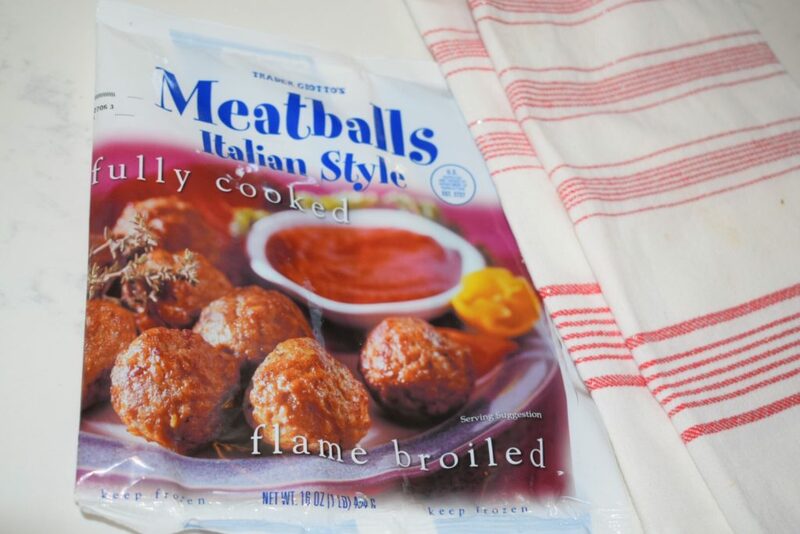 If you would like to try this with my yummy Homemade Meatballs you can find that recipe here! 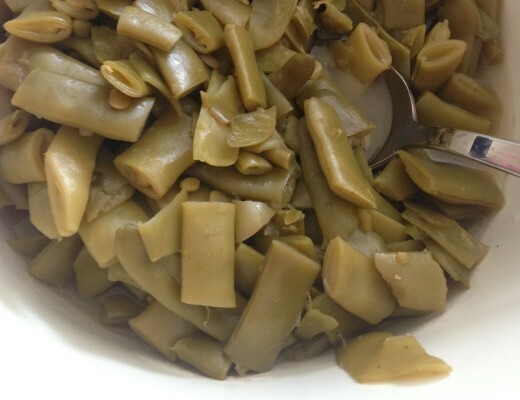 If you want to have extras double or even triple the recipe, place them in a freezer bag and they freeze well! 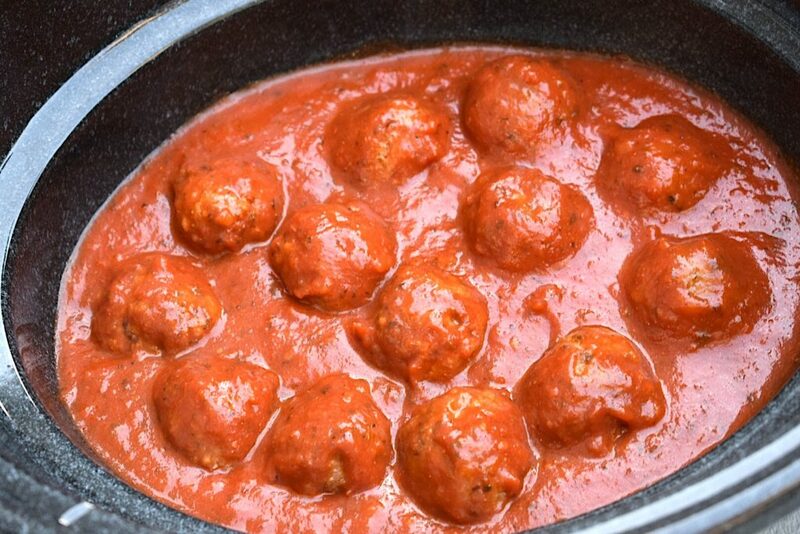 That way you can have these delicious meatballs anytime! A simple and delicious way to create your favorite local sub shop Italian Meatball Sub at home in the crockpot! 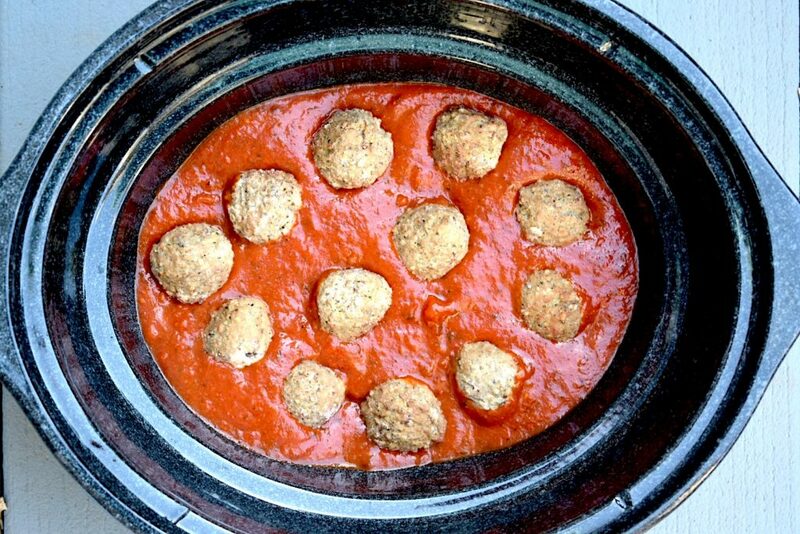 Add meatballs and sauce to the Crockpot and stir. Cover and cook on HIGH for two hours or LOW for 4 hours. Sprinkle or place sliced cheese on top. I recommend Nature’s Rancher (Whole Foods), Trader Joe’s brand or Bremer (Aldi).